Go to Wildemasche.com and choose the product you want to create and share a design for. This is best done on the Wildemasche Products overview page. 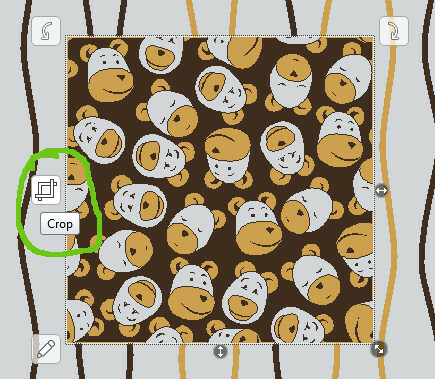 Look through the material & size options, and click “Design now” button to start the designer with your desired product. Create your product design, with text, logos, cliparts, patterns, photos etc. 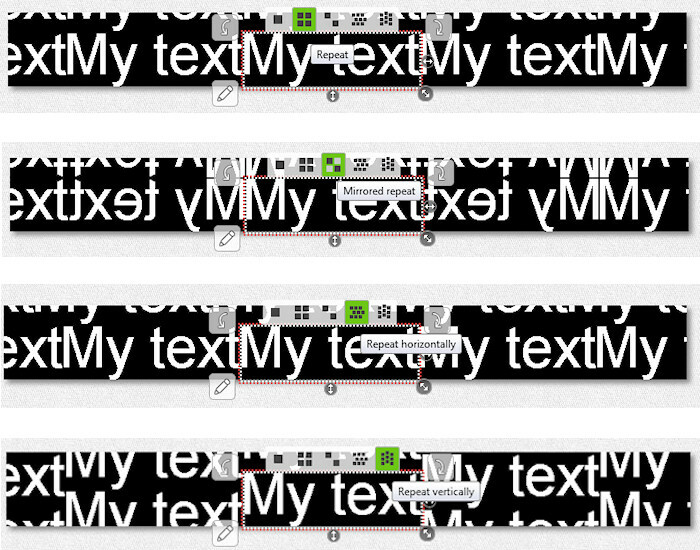 Then click the “SHARE” button on the top right of the online designer. A popup window opens and gives you options where to share your design: via Facebook, Twitter, G+, Pinterest, Email, or copy the link to clipboard. You can also download the design as PNG file there. Then, follow the shared link to the design landing page. There, you or the person you have shared the link with, can order the design without changes. 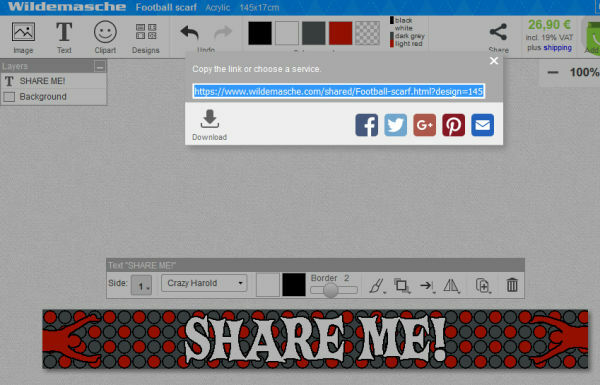 Create team scarves, and share the design with your team mates for approval. 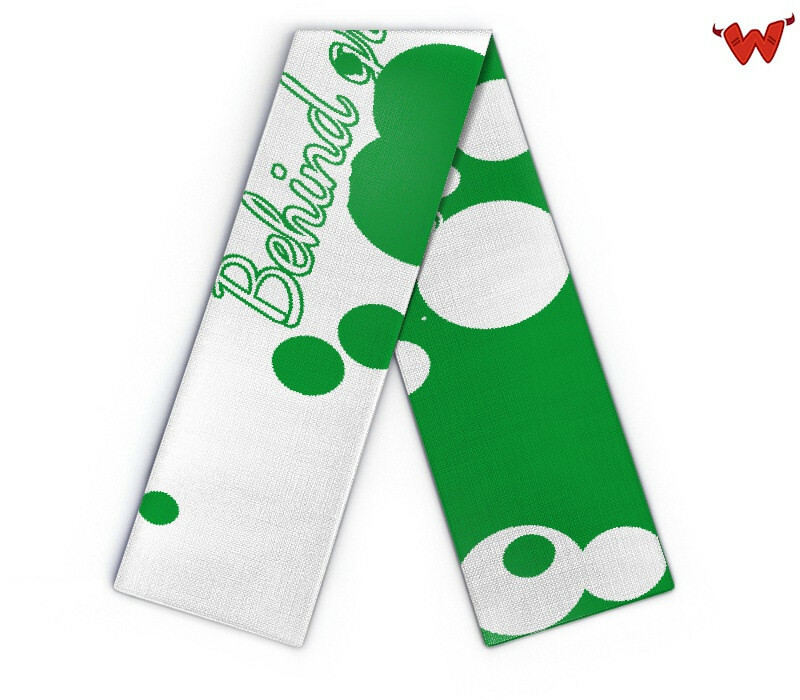 Set up a scarf voting with several designs, the winner design gets ordered. Create a base design, and share it so every team member can add his own text. Team scarf layout with custom text or numbers. Or just use the share feature if you don’t want to do the design in one go, save the link and edit it some more later on. 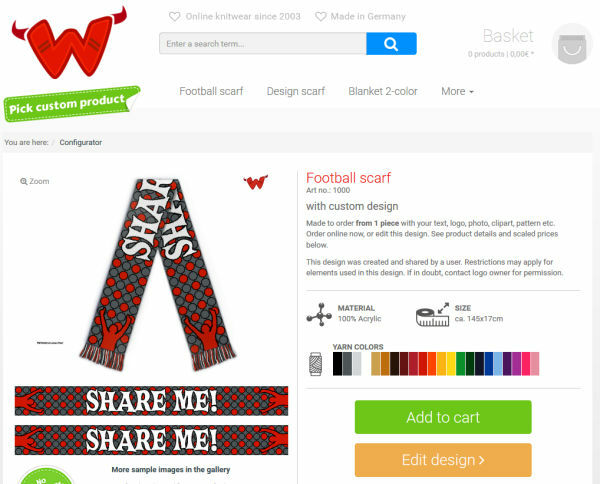 The Online Designer is not for football or soccer scarves only. 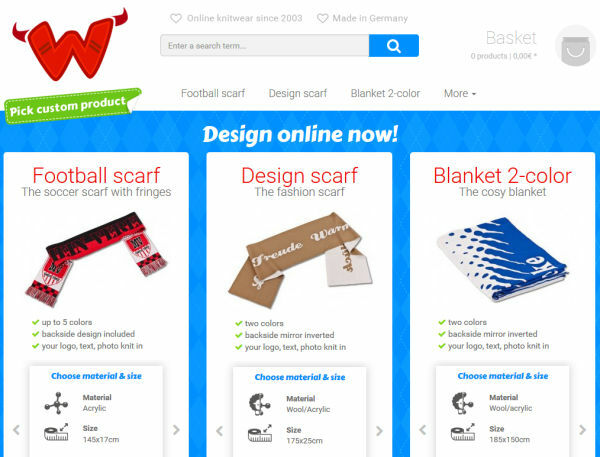 This works for all Wildemasche products, like design scarves, blankets and beanie hats. 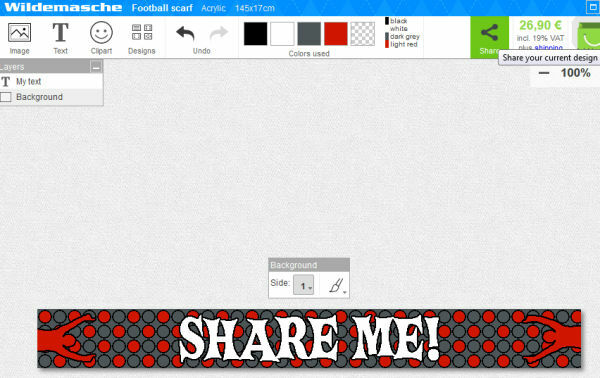 And this is the link to the “Share me” scarf design. Enjoy and share your design! This entry was posted in How-to and tagged beanie, blanket, design, facebook, pinterest, scarf, share, twitter on April 2, 2016 by user2. 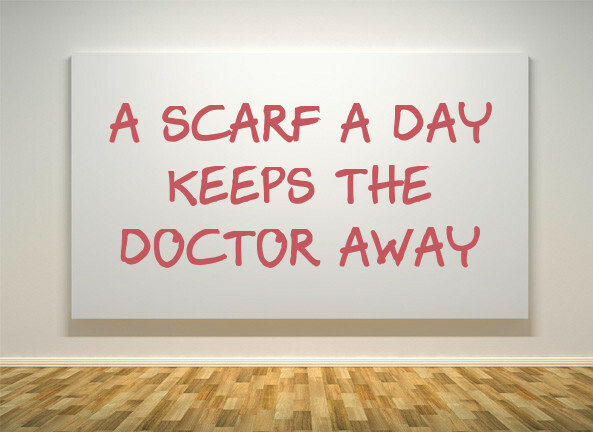 This entry was posted in News and tagged away, doctor, scarf on February 23, 2016 by user2. 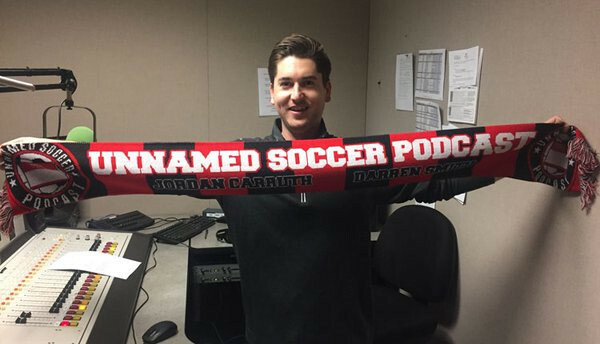 Review of the scarf starts at 12:30 minute mark. This entry was posted in News and tagged football, podcast, scarf, soccer, sports on February 5, 2016 by user2.